A large bowl of cooked navy beans. Navy beans, a white variety of bean, finds use both plain and cooked into a range of recipes, from casseroles to soups. 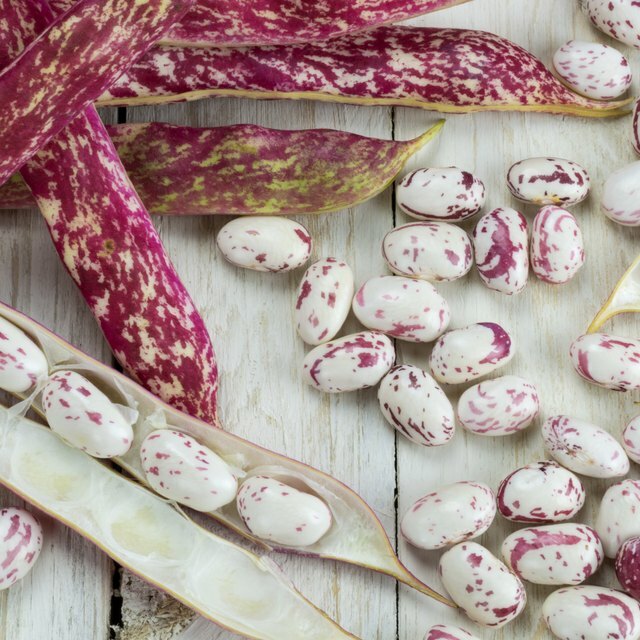 This bean can be a part of your diet, whether you're a vegetarian or a meat eater. A one cup serving of cooked navy beans provides you with 225 calories, according to the United States Department of Agriculture National Nutrient Database. These calories are made up of 47.41 g of carbohydrates and 14.98 g of protein as well as 19.1 g of fiber. 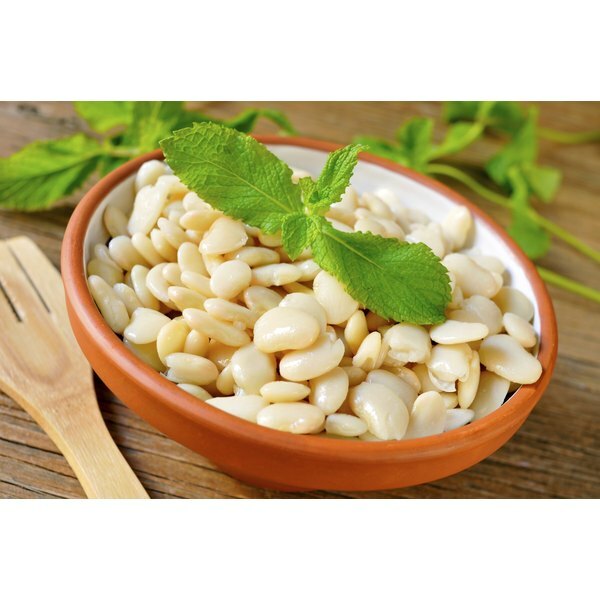 Navy beans serve as a rich source of folate, according to the National Nutrient Database, containing 255 mcg of this nutrient per one cup of cooked beans. Folate, also known as folic acid, forms red blood cells and contributes toward producing DNA and helping your body use proteins. This serving of navy beans also contains thiamin, niacin, riboflavin and vitamin E.
Navy beans contain high levels of potassium, a mineral that plays a vital role in the functioning of all cells, organs and tissues in your body, according to the University of Maryland Medical Center. The National Nutrient Database reports that one cup of cooked navy beans offers you 708 mg of potassium. This serving of beans also contains calcium, iron, magnesium, phosphorus and selenium.